Amazing cleaning and disinfecting power plus comfort. 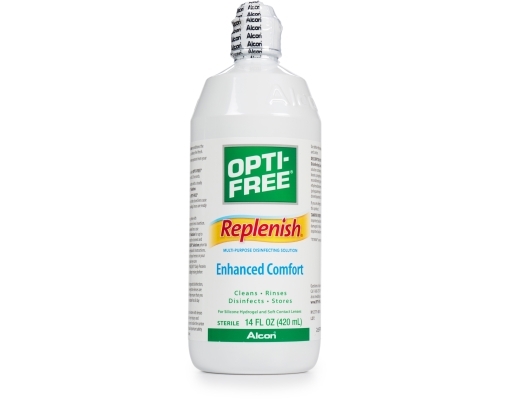 Enhanced comfort with top-notch cleaning and disinfecting power. 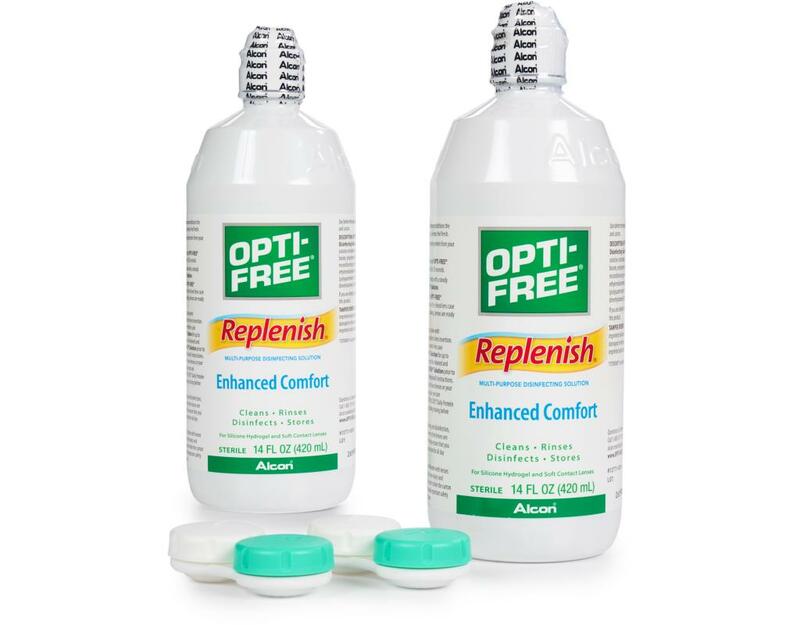 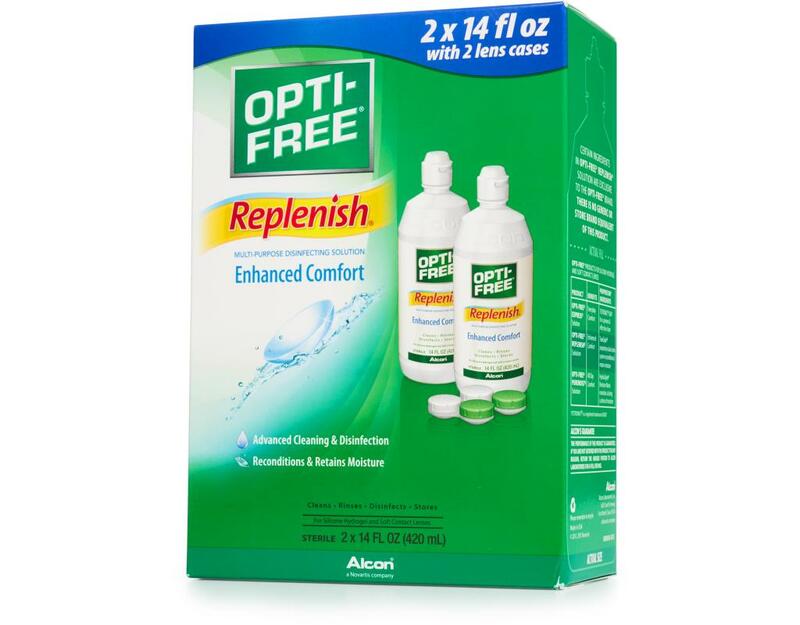 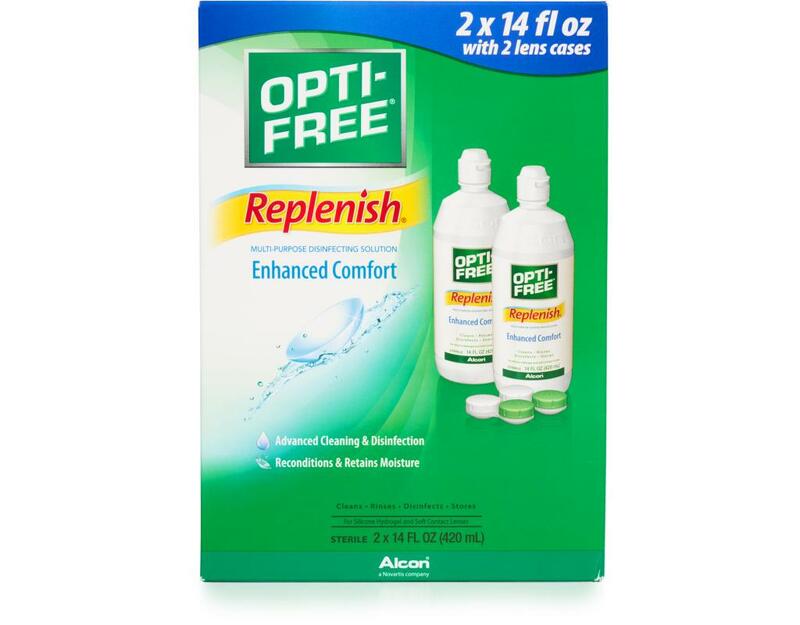 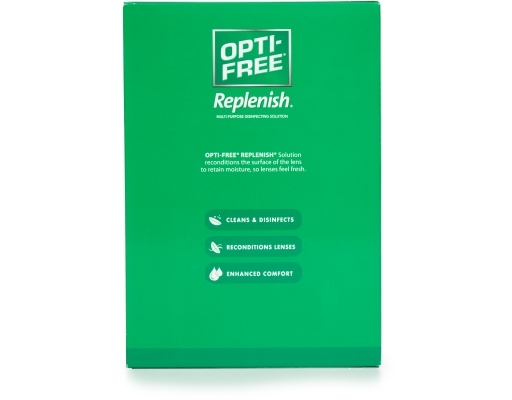 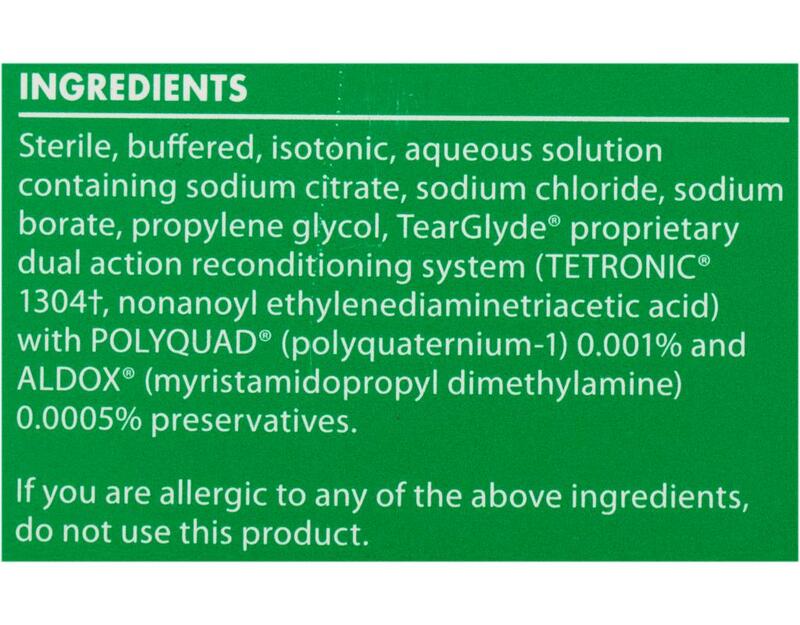 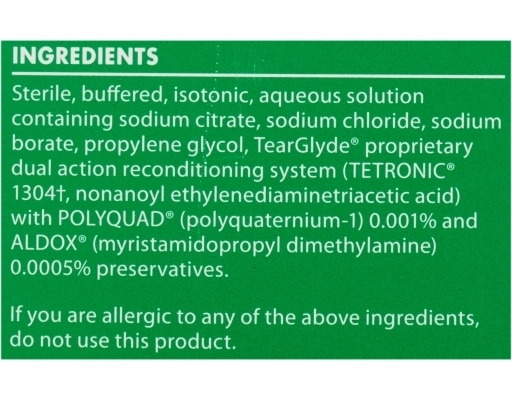 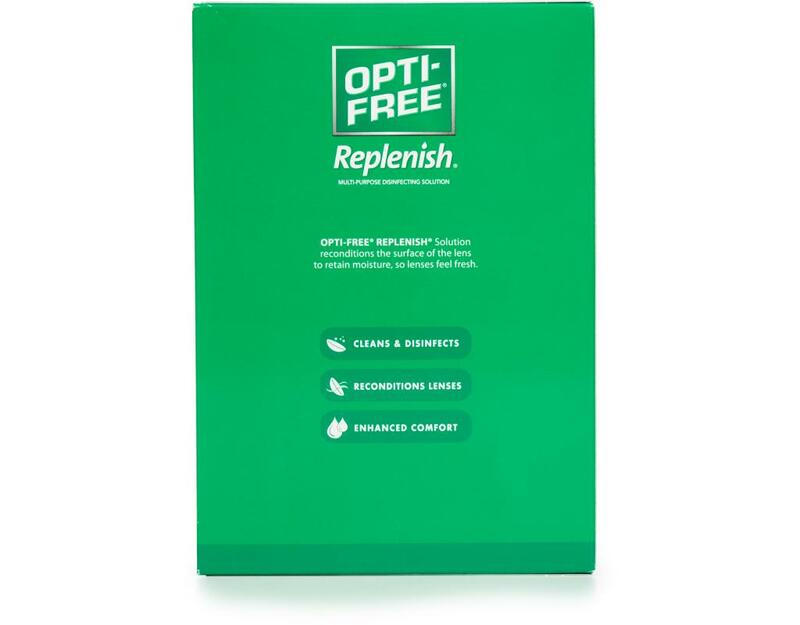 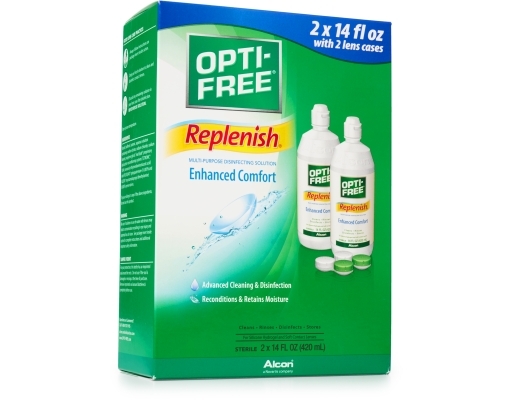 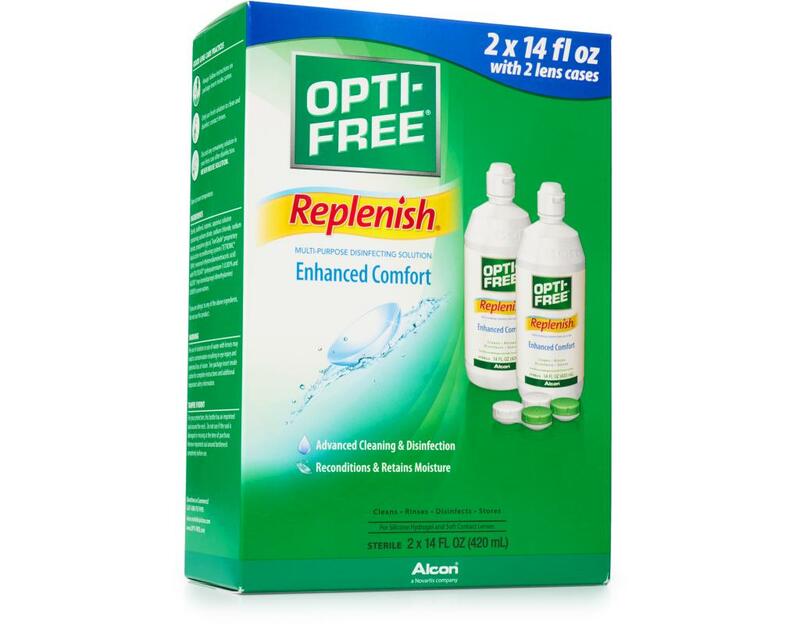 OPTI-FREE Replenish Solution reconditions the surface of the lens to retain moisture, so lenses feel fresh.